Sock The Walk – Page 19 – You May Talk The Talk But Can You Sock The Walk? European Discovery: My Europe Experience! Beauty: Get Your (Freckle) Glow On This Summer! With springs many wonders, "editing" your wardrobe has to be one of them! It can be quite tough though.. I've got you covered! May 7, 2016 Categories Fashion World, Sockin Posts1 Comment on Who Run the World? Moms! Once a year. Two words. Mother's Day. This day may not mean so much to you, but there are tons of reasons to celebrate. Why? Who run the world? Moms! 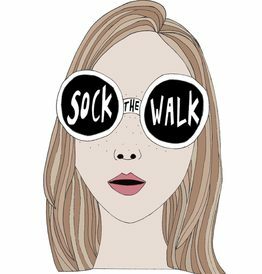 May 7, 2016 May 7, 2016 Categories About, Sockin Posts1 Comment on Why Sock The Walk? What does Sock the Walk mean? What is this amazing new logo? So much news and more! True Brown K or True Waste of Money? April 26, 2016 May 15, 2016 Categories beauty, Sockin Posts2 Comments on True Brown K or True Waste of Money?